Well worth it This is a bottle that grows on you. It is very smooth, nice hit of maple syrup on the finish. Great bottle This rum is a great sipper. I never mixed it never had to. Full of flavor. At this price no less than a 9. Huge flavor This is a great rum from Barbados. Huge flavor here. This is fantastic. Well worth the cost. My only issue was a broken natural cork when opening. very flavorfull Had lots in the Caribbean. It's great straight has a nice round pot still flavor. Also a great mixer. A real underdog in this category. unaged cachaca For an unaged Cachaca I can see why this is the number two selling spirit brand in the world. Let this sit in a glass pure for a bit before sipping. 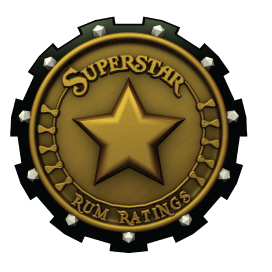 Very nice A great everyday rum for straight shots. Top notch product now starting to become available almost everywhere here. Better than standard Bacardi. Really decent A decent straight shot rum. Great aroma, finish, and rum kick for the price point you cant complain! El dorado sweetness This rum is a sweet aged rum. There is a lack of complexity. The plus is that you can sip half a bottle before you realize it. vanilla Decent for a spiced rum and aged 4 years. Very smooth rum here no bite or burn, mild baking spices and sweetness, strong vanilla note in mid palate. Smooth yet odd profile This is one of the oddest profiles on a rum I have ran across to date. While it is rather smooth it does have a strong cask influence from the port. better than middle of the road This is decent straight and a great mixer for the price point there are other rums I would pick up over this every time. Not bad Decent for the price. Nose is medium rum. Taste is acceptable in shots. Decent bottle here for 19.99. Not bad for a connoisseur Not for the faint of heart. 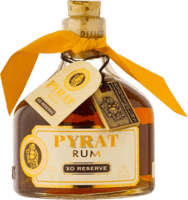 This is a drink you really have to be a rum or rather Rhum lover to enjoy in any capacity. I give this a 7 straight up. nothing to run to the store for This rum is decent. Would I run to the store for it? No. While smooth, there are others I would recommend in its place. great straight I found this rum to be decent taken straight up. It has its edges to it but still for this price it is not just for mixing. Better than white Not sure why to choose the white over this rum at the same price. Much better for classic mixing drinks. Holds up slightly higher in sipping also. Use this for mixing Let me start by saying this is an excellent mixer it really brings a glass of coke or a cuba Libre to life. The value is also there incredibly cheap. will not buy this again This was drinkable but harsh for only 35%! In a bind this is something I could drink but will never buy it again.